After a successful career in advertising Charles sold up his London property and bought a ruined mansion in Buxton, Derbyshire. With his wife, Sylvia, he set about turning it into a luxury hotel and restaurant and took on the role of self-taught chef proprietor. His best efforts were not enough to save the enterprise in the recession of the early 1990’s. Charles then re-invented himself as a food writer. He wrote about food and restaurants in the London Evening Standard for over a decade. 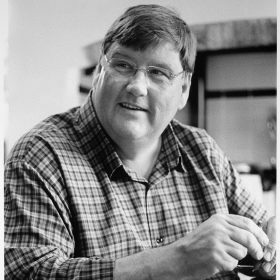 He has also written about food and drink for The Independent, The Times, The Weekend Telegraph, The Illustrated London News, BBC Good Food Magazine, and the Times of India…. among other newspapers and magazines! He featured on the BBC Masterchef critic’s table for 12 years. Charles is a past winner of the Glenfiddich “Restaurant Writer of the Year” Award. He has written a number of cookery books and the Rough Guide to London Restaurants. Some years Charles makes cider, some years sloe gin. He is a member of the Guild of Beer Writers and usually judges at several annual cheese shows and the Great Taste Awards. His two children have grown up and are now living in London while he lives just outside Worcester with his wife and two elderly cats and a pair of geriatric ducks.